New York City is one of the world’s most popular tourist destinations, and rightly so, with a wide variety of things to do. It’s a city that never sleeps, and thrives on a very special energy that keeps the Big Apple pumping 24 hours a day. But often, particularly during the peak Summer season from June to September, it’s tough to escape the craziness and chaos of the city. So what do the locals do? They escape the madness of the city by hitting up the rooftops. And so, here’s some of New York City’s more unique rooftop experiences that might not be the most well known, but are definitely all worth checking out. This hotel rooftop might not be the biggest, but it’s certainly got a great view of the Hudson River and the Chelsea Highline. 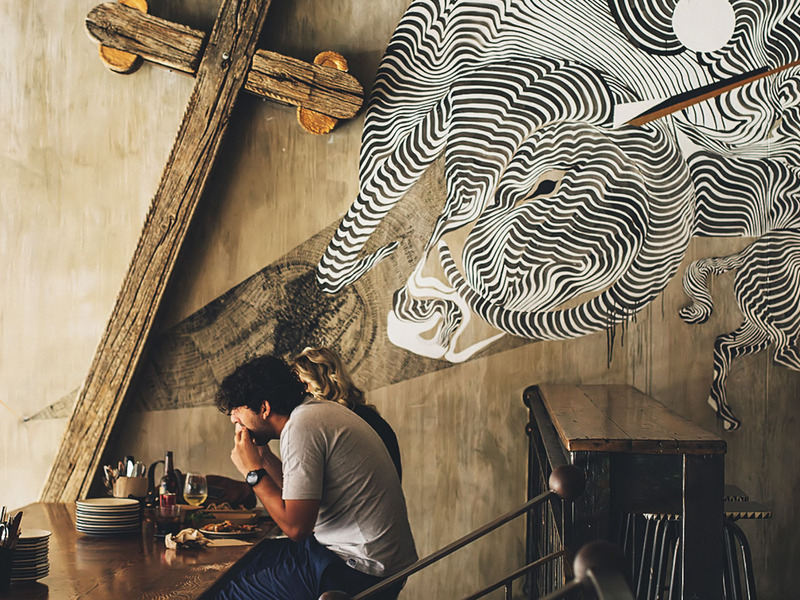 It’s a hotspot for celebrities and New York foodies wanting to chow down on the restaurant’s Latin and French inspired food, while taking in the charm and edge of the city’s art district. The food here is rustic, but also brings the funkiness of the rooftop space onto the plate. It’s a great spot to chill, dip your toes in the pool, and snack on some tasty tucker. Every weekend, the rooftop of the McKittrick Hotel hosts one of the most spectacular brunches the city has ever seen. It’s all you can eat and drink on an amazing rooftop transformation that transports you into an urban tree house. Set on top of the hotel that hosts the famous “Sleep No More” theatre production, it’s a rooftop experience that will leave you with a full belly and an appreciation for one of the most unique rooftop experiences in the city. It’s one of New Yorks’ most popular tourist attractions, but not many people might be aware of the brilliant rooftop views the Met building boasts. Even better, over the summer months, the museum commissions a different world-renowned artist to transform the space into its own unique art installation. If you happen to be there on a Friday or Saturday afternoon, you can grab a martini at the rooftop’s Cocktail Bar too! At the end of the day, everyone needs a spectacular Manhattan skyline photo to upload on Instagram or Facebook, and this is one rooftop guaranteed to get you quite a few likes. Personally, I’m not a fan of queuing for hours in the stinking summer humidity to pay to go up the top of the Empire State Building. Instead, I’d rather save my money, and go up to this spectacular rooftop (for free! ), without the crazy crowds and queues. Here you can sit down with a cocktail and some food, and watch the sun go down next to the Empire State Building. It’s a view that you have to see to believe, and at night, the skyline comes to life, allowing you to take some of the most “likeable” photos you’ll ever post. Reuben is Expedia’s video host, having presented on Australian radio and television, covering interesting travel experiences across all corners of the globe. He calls Sydney home, but loves chasing summer around the world, especially through the beaches of the Mediterranean and the west coast of the United States. He’s got an emergency pair of board shorts wherever he goes, and his mission is to bring the world’s most inspiring travel adventures to Expedia's community.